No, not cancer! 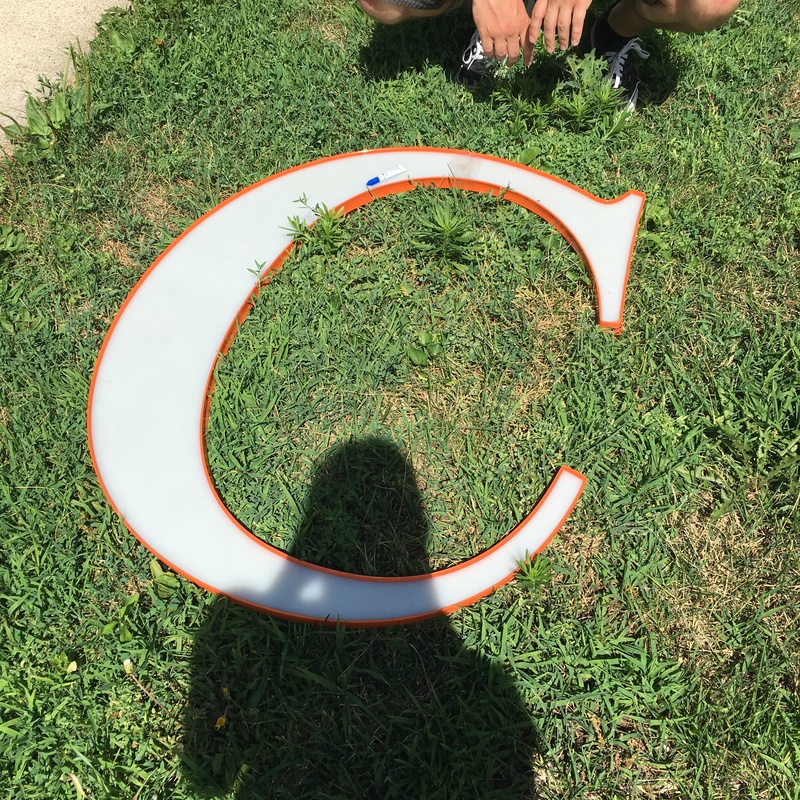 Literally, a big C! 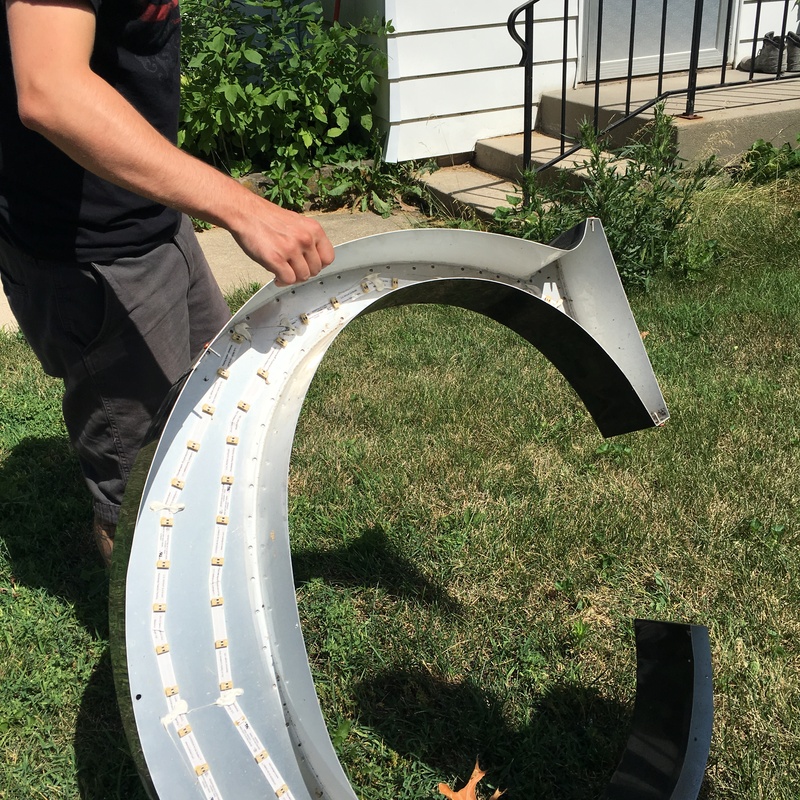 Ben found this amazing bit of light-up signage on Craigslist. And couldn’t pass it up. I mean, Cockamamy needs a monogram, right? 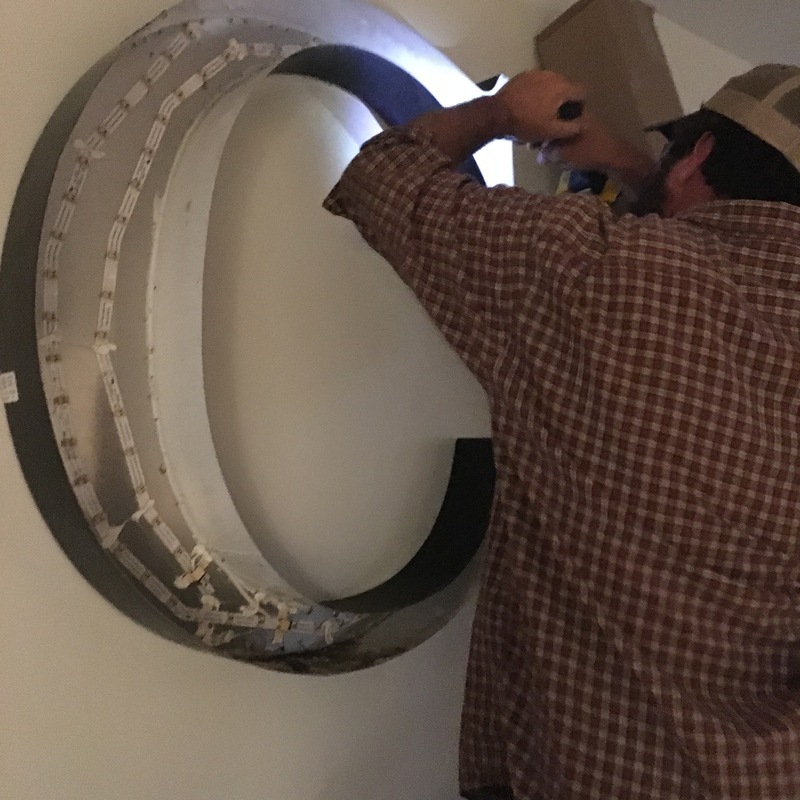 The letter is a lightweight metal base inside which someone installed LED tape lighting (not in working order). A white translucent plastic cover is trimmed in orange–a favorite Cockamamy hue! Back at the farm, we chose a spot–the piece of wall between the kitchen and living space windows. 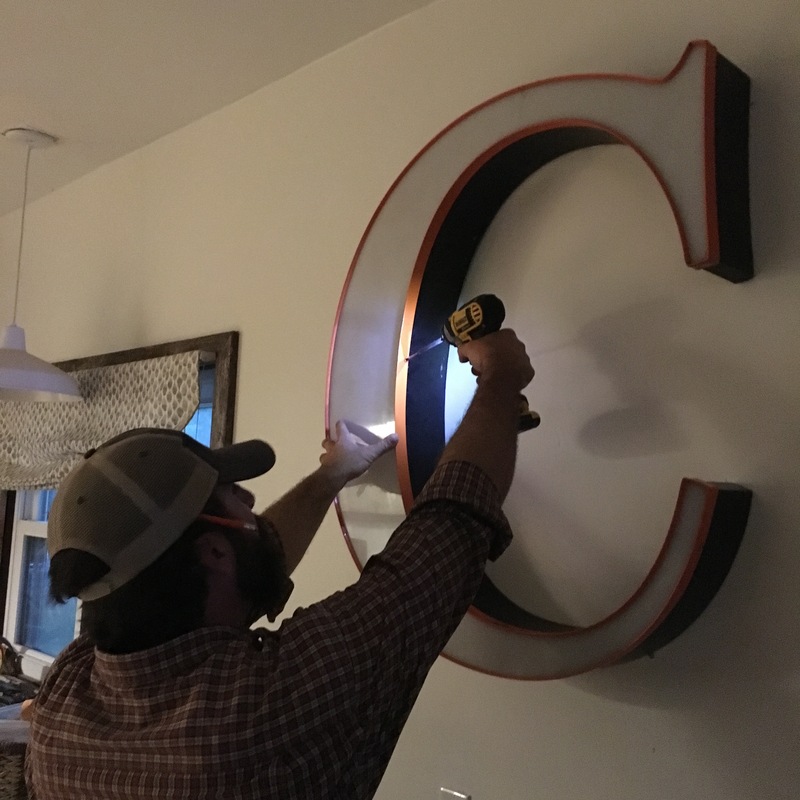 Ben was excited to hang the giant alphabet! And there it is! 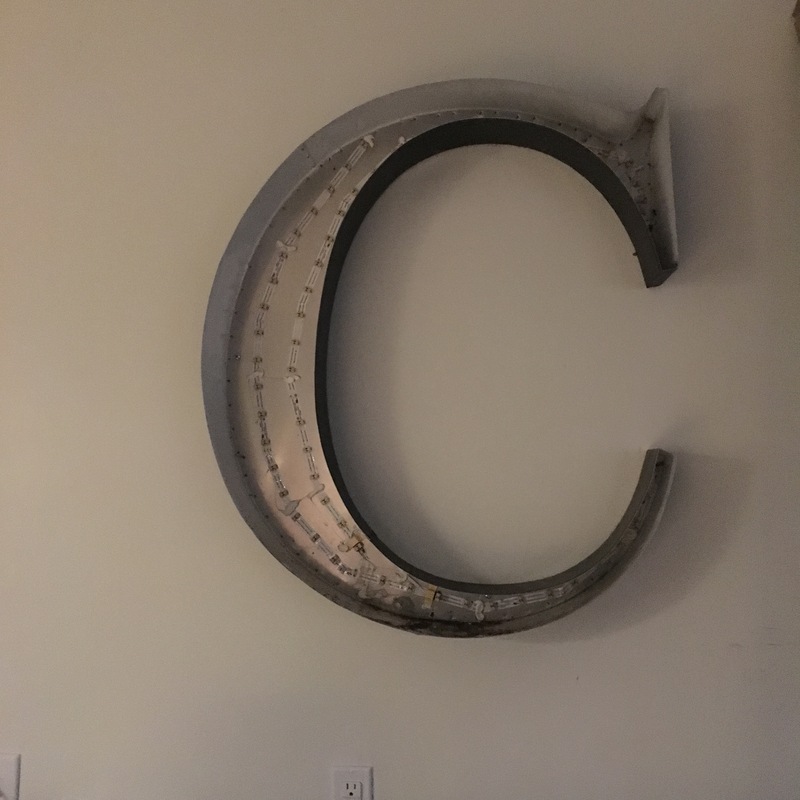 The big C! Love this!! You guys have so much style and pizazz. Love, Sue Haines.